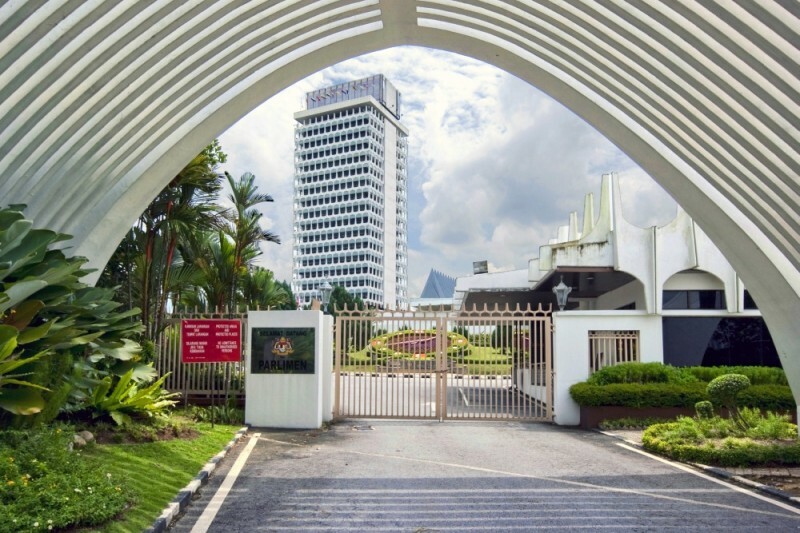 Malaysia's parliament. Photo by Wojtek Gurak. Shared on Flickr. Some of the amendments to the Sedition Act of 1948 approved  by Malaysia’s Parliament could further undermine freedom of expression. This is the verdict  of media groups, opposition politicians, activists, and even the UN High Commissioner for Human Rights after the amendment bill was passed by the parliament on April 10, 2015. The government made an election pledge in 2012 to repeal the Sedition Act — which targets discourse deemed subversive to the state — but it reneged on its commitment by passing a measure that strengthened the colonial era law. In the past year, scores of critics, journalists, academics, and opposition politicians  have been arrested  on suspicion of sedition. Thus, the decision to affirm the Sedition Act was seen by many as an indicator that the ruling coalition, which has been in power since the 1950s, intends to continue persecuting its perceived political enemies. One of the amendments gives  mandate to the Sessions Court to issue a “prohibition order” on any seditious publication that would “likely lead to bodily injury or damage to property”, or “appears to be promoting feeling of ill will, hostility or hatred” between different races or classes on the grounds of religion. The court is also empowered to issue an order to remove seditious publications made by electronic means including online publications. A new section imposes a penalty of between five and 20 years jail for sedition crimes that cause bodily harm or property damage. Another amendment increases the jail term for acts of general sedition to between three and seven years. Perhaps it is good news that general criticism of the government and the judiciary is no longer considered seditious. But the jail term for sedition cases has been increased and the requirements to prove sedition have been relaxed. This tweet shows the possible consequences for people falling foul of the new Sedition Act — spending more time behind bars. The IJM is concerned over the ambiguity of the terms “likely” and “appears” and we fear that these criteria will be open to abuse and misinterpretation. The IJM finds this an unfairly harsh punishment especially when there is no expiry date for the prohibition order. The inability to access tools of the trade will mean online journalists’ careers are at risk and threatens the existence of legitimate news portals. The prohibition on “propagating” seditious speech or their publication also means that online news portals cannot share allegedly seditious remarks on social media and RSS feeds will cease to exist, further silencing discussion on policies and issues which are of national interest. This latest curtailment of freedom of expression further restricts public discourse and will create a void in Malaysian social media and a deafening silence in news forums. If you tweet something seditious and the Sessions Court issues a prohibition order against you, you will be prohibited from using a smartphone, tablet, desktop and any other electronic device. ‘Propagation’ is not defined in the Bill. For social media users and those using smartphones, this would mean that a person would be liable if he or she shared on Facebook or Whatsapp or retweeted a seditious publication, even if he or she is not the maker of the said publication. One assumes that a retweet and a Facebook share would be considered as propagation. Would these broad and vague terms also make it an offence for journalists, activists, and ordinary people to quote allegedly “seditious words” when commenting on or criticizing them in any publication? Last time , there was no Internet and non-verbal communication over social media. The unity of the country remains our topmost priority. While the government believes the amendments to the Sedition Act are necessary to preserve harmony in society, for many citizens, they are troubling signs of increased state repression in the country.